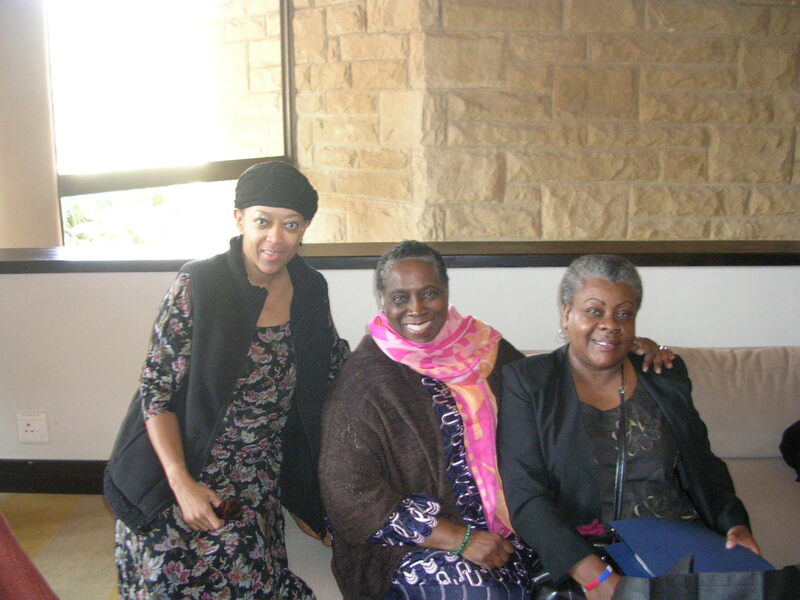 headed by Dr. Cecelia Williams Bryant, Sr. Episcopal Supervisor of the A.M.E. Church, were expert in all areas of this work and used their years of experience to buffer us. This allowed us to focus on service, the people and the work that needed to be done. The temperature was great. It was the beginning of spring. 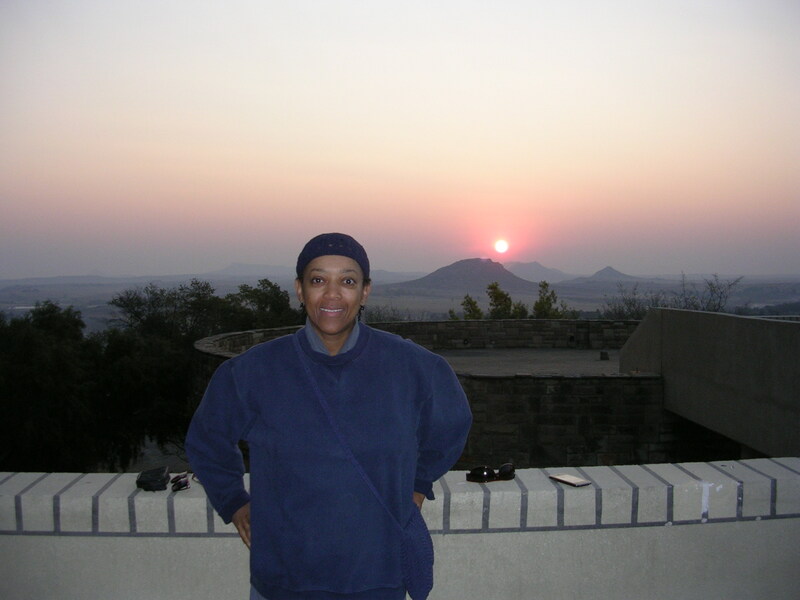 We arrived in Maseru, Lesotho from Johannesburg just in time to see the sunset. It was beautiful! 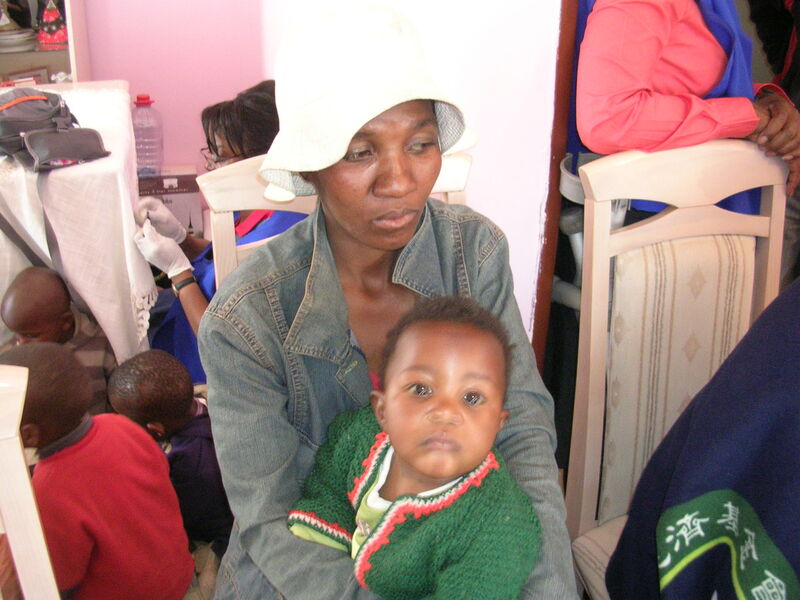 Setup a medical clinic in the capitol city of Maseru, Lesotho, and provide health care services to as many men, women and children as possible. 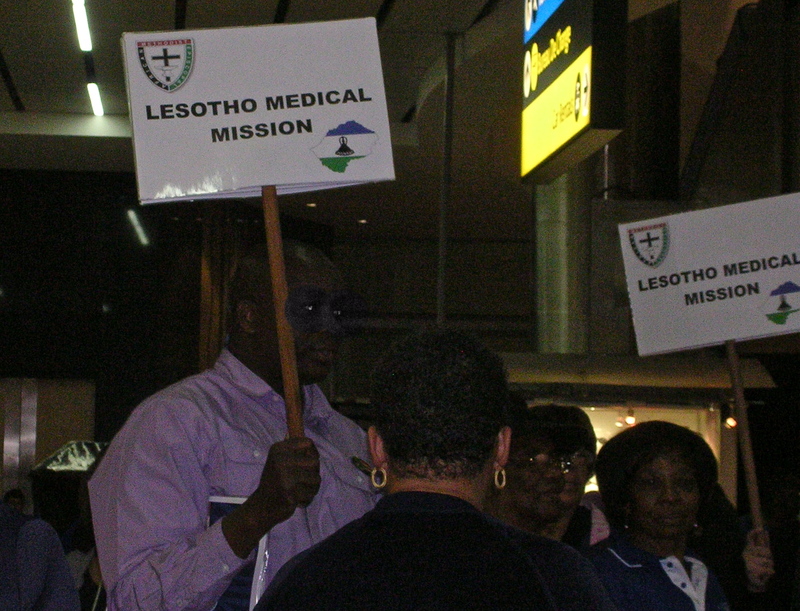 Execute relief ministry to designated outreach targets in and around the city of Maseru, Lesotho. 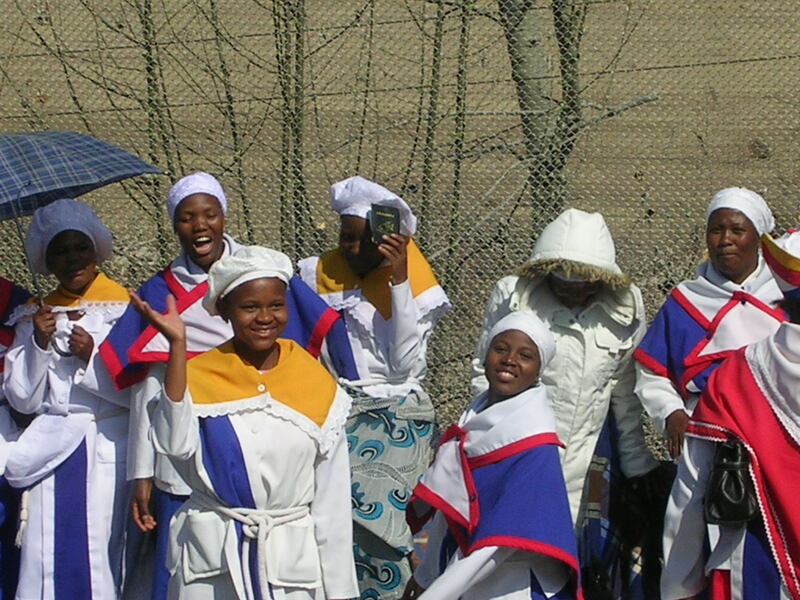 Fortify and strengthen three designated AME churches in Maseru, Lesotho through collective worship and gifts. Our trip to Lesotho was uneventfully pleasant and exciting. There were several team members, who like me, had never been to South Africa. We departed from Dulles airport in Virginia on Thursday, August 26, 2010 and arrived in Johannesburg on Friday evening after a quick refueling in Dakar, West Africa. Total air time was approximately 17 hours. One of my initial assignments was to help keep the team healthy during the long-haul flight. I acted as coach/physical trainer making sure that each person moved every one to two hours during the flight and making certain that they remained hydrated. It was a pleasant spiritual moment when we touched down on the continent of Africa. We were greeted warmly by our guide and travel logician, Jeffrey. We spent our first evening in Johannesburg. We started out early the next day for a six- hour chartered bus ride to Maseru. There were two buses, one for the medical team and one for the rest of the team. On the bus smaller groups were formed. The team were separated to provide the first opportunity to do face-to-face team building and continue planning for the days ahead. It was important to maximize every moment in order to accomplish our assignments. The bus ride was nonstop with the exception of our passage through the two borders. I conducted body maintenance exercises hourly, which included turning the waist, stretching the spine, and massaging the legs and arms. Here are a few pictures of the country side and border sites of interest. 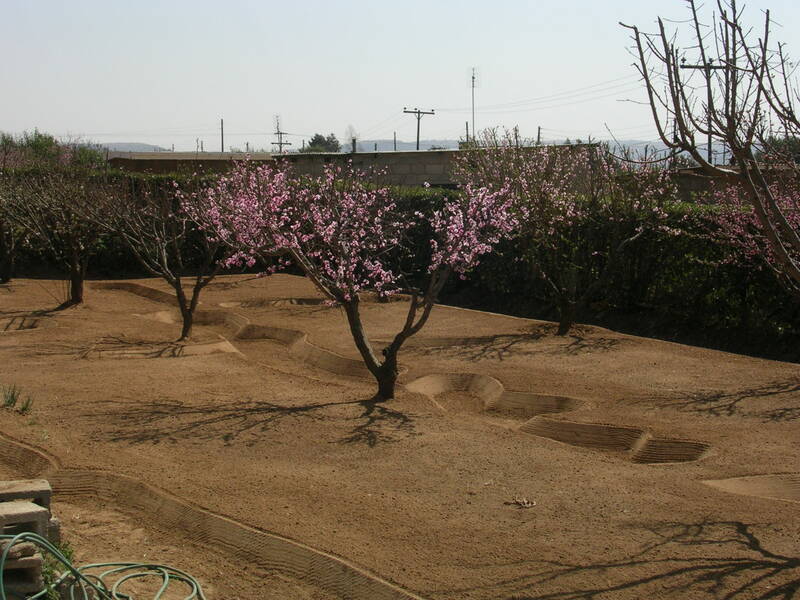 The scenes of the South African country side helped prepare us for what we would face in the days ahead, including the living conditions of the people we would serve in the coming days.It was the start of spring in Lesotho. The nights were still cold (40 degrees) and the days were a very comfortable 70 degrees. 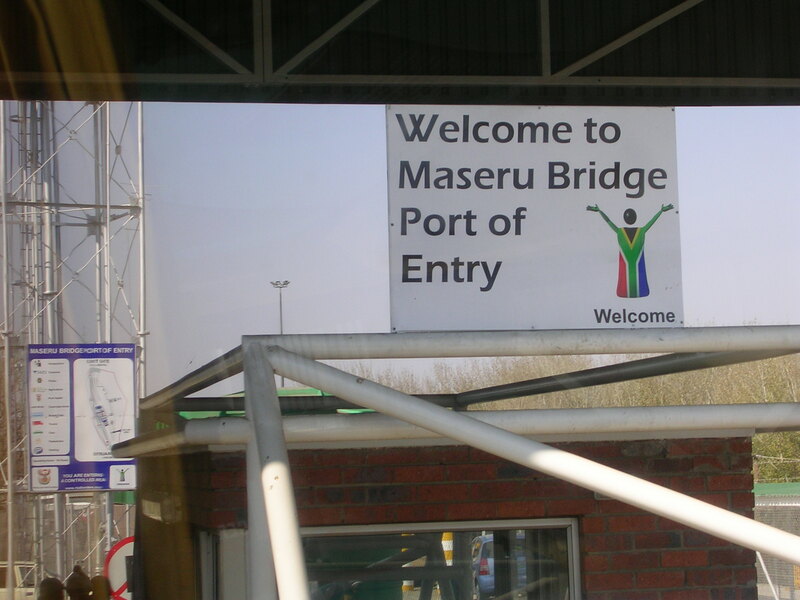 Border Crossing – A Daily occurrence for many workers. 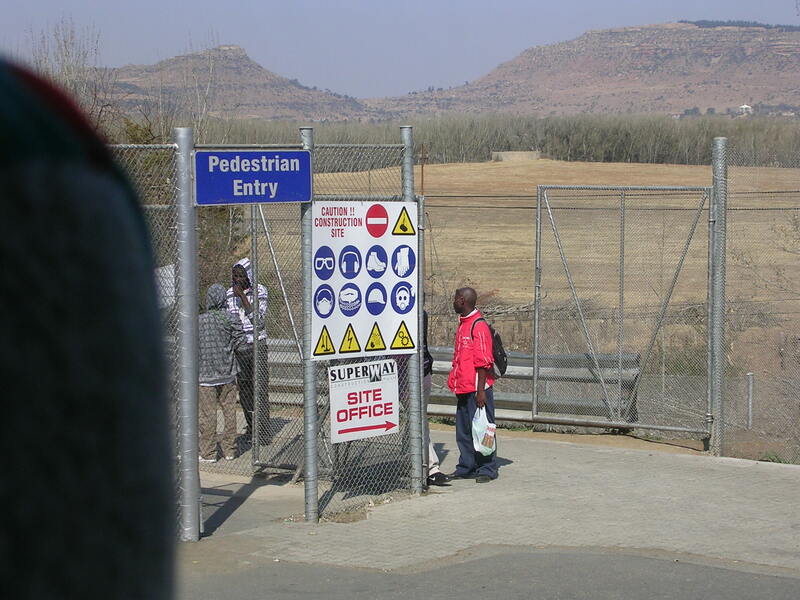 We were asked to get out of our buses and walk across the 1/4 mile border into Maseru. We were advised not to take pictures while walking outside of our buses and while crossing at border. 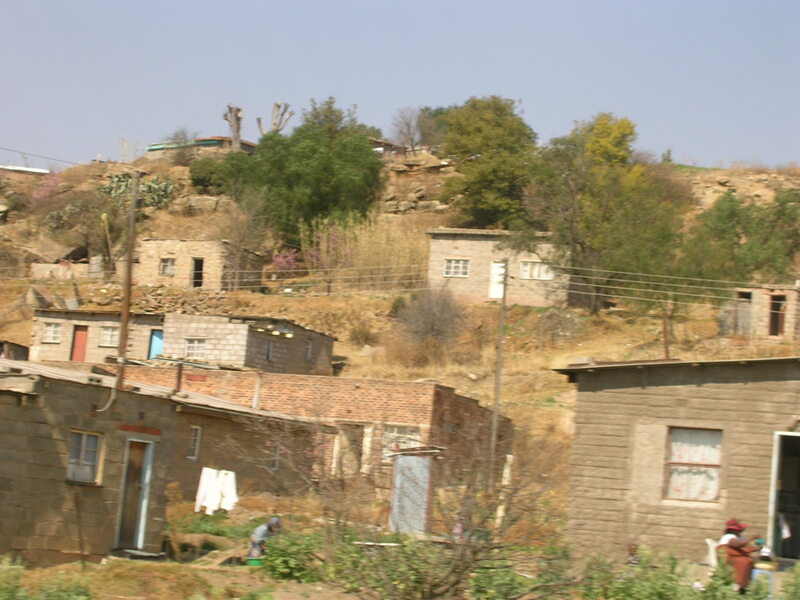 The city of Maseru, which is the capitol of Lesotho offered amenities not found in other rural or urban areas of the country. The infrastructure was very westernized. Our hotel was very nice and served as a wonderful home base after very long work days. It was a safe place for over 70 women and only three men. We were also able to have American-type breakfasts and occasionally dinners. 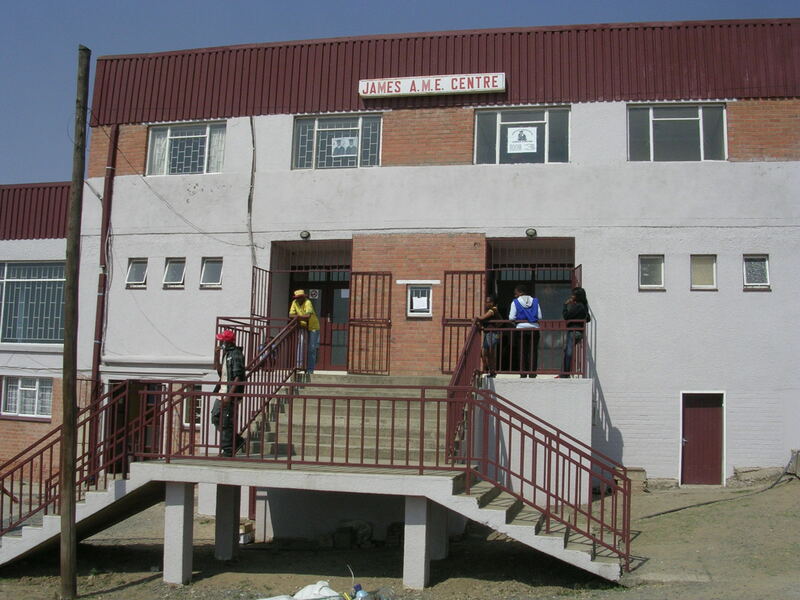 We established our clinic in the center of Maseru at the African Methodist Episcopal James Center owned and operated by the A.M.E. Church. This facility was recently refurbished and now stands as the best facility for conferences and events in the area. It is a revenue generator, which helps supports the church community outreach programs. The next phase will include a paved parking lot and landscaping. However, for now these remain rough, hilly and challenging especially during winter. The team spent Saturday night, Sunday after church services, and lunch setting up the clinic and preparing for opening day, 8 am Monday. When arrived at the James Center, that morning the lines were full of people. By 12 noon we realized that the wait queue for triage was so full that we not be able to service all of them that day. We ended the line and ask them to return the following day. We repeated this process each day. The people were patient and kind. Few arrived at the center by cars. Most of them walked for miles and were willing to return on the next day. 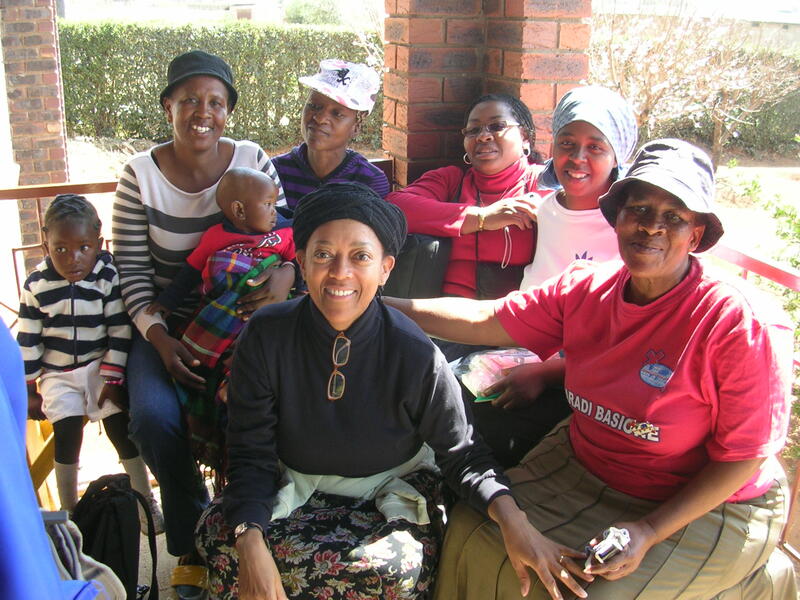 The burden of HIV/AIDS has impacted every aspect of life in Lesotho. What was apparent during our short stay was that women are dying more frequently and faster than the male population. As a result, active grand-parenting is the norm, orphanages are at capacity, and teenage head-of-households are on the rise. To create sustainable health and wellness, we would need to directly address the cultural and social barriers that necessitate public policies like this one. The HIV/AIDS crisis has put the womb of the Kingdom of Lesotho in a diseased state and her population at risk for extinction. The intention of the mission leadership was to make an impact no the lives of the people of Lesotho for generations to come. Unlike traditional missions, this medical mission was holistic in nature. We had the skill sets to address the physical condition of a person, but also we were able to treat depression, stress, address emotional issues, wellness, and provide health education. Enhancements would be to strengthen the program in these areas. For example, more resources must be allocated towards prevention and sustainable living. Our health education efforts focused on the areas of life extension and prevention. Our goal was to identify the cultural inhibitors to wellness and address these through health education with the overall goal of providing affordable non-medical and medical solutions for wellness. Our last visit to Lesotho was four years before this visit. Keeping with the spirit of empowerment we built in time to transition the work we’ve started to the local missionary groups. More specifically, we trained them to do follow-ups, to monitor treatment protocols, and facilitate compliance with treatments. Their follow-up would ensure that continued healing takes place and that expected positive outcomes occur. Additionally, we plan to leverage medical technology (like telemedicine) to put the clinical team in touch with the local missionary groups and certified practitioners for planning purposes before we return.